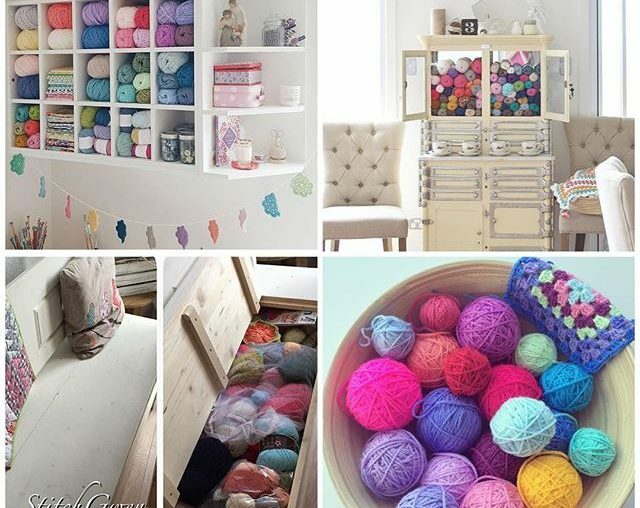 It’s the time of the week when we take a look at what people are sharing in crochet using the #crochetconcupiscence, #crochetsavedmylife and #hooktoheal hashtags. 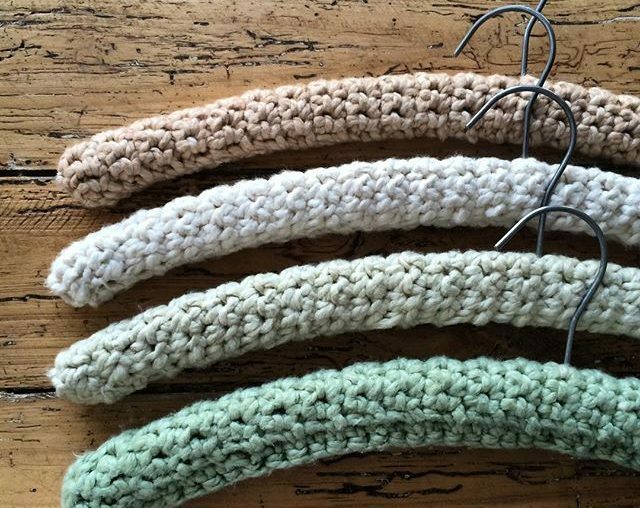 You are always welcome to use these hashtags on any crochet photos on Instagram for a chance to be featured here. It’s time for the weekly roundup of things people are sharing over on Instagram using the hashtags for this blog. 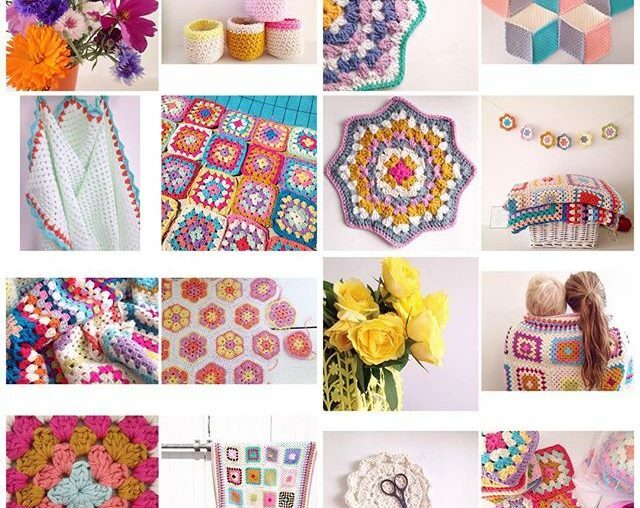 Many, many people are working on crochet squares, especially classic granny squares and large granny square blankets. I suspect that after making a lot of different things for the holidays, everyone wants to go back to more meditative crochet! On the other hand, a lot of people are making adorable amigurumi, including teddy bears, and I’m guessing at least some of that is inspired by the upcoming Valentine’s holiday. 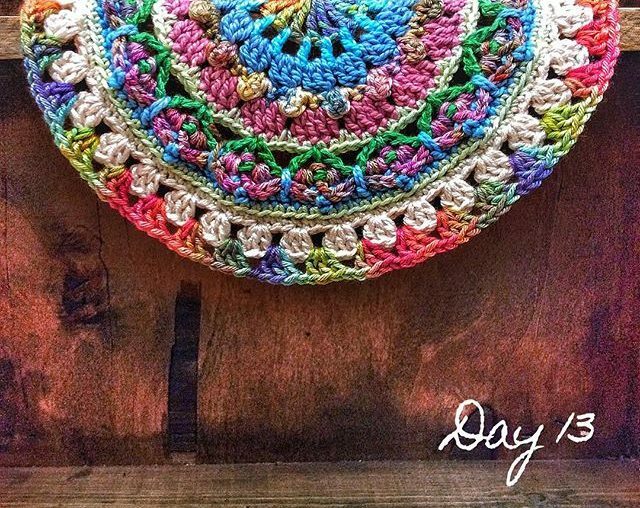 Over the past month and a half I’ve shared daily posts of Featured Instagrammers, who they are, what they crochet and the photographs that they share with us using the #crochetconcupiscence tag. It’s a way for you to meet new crafters, find folks to follow on social media and get your daily dose of crafty inspiration. Just in case you missed any of them, here’s the roundup of all of these great artists. Ana Maria Owusu-Tyo makes me smile with her tagline on Instagram, which reads: “I crochet past my bedtime”. Don’t we all?! Who is ThatGirlWhoCrochets? She’s a crafter in her mid-twenties who lives in Australia’s Gold Coast. 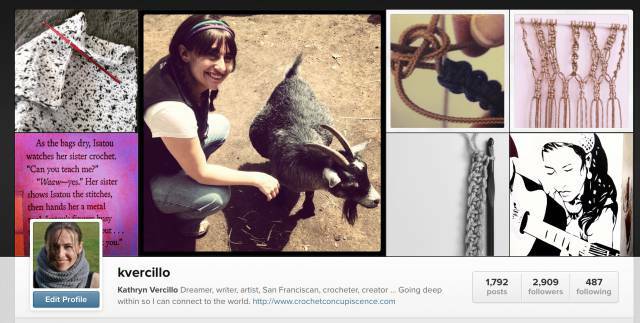 She is a graphic designer by day but is passionate about crochet, which she taught to herself and shares on her blog. 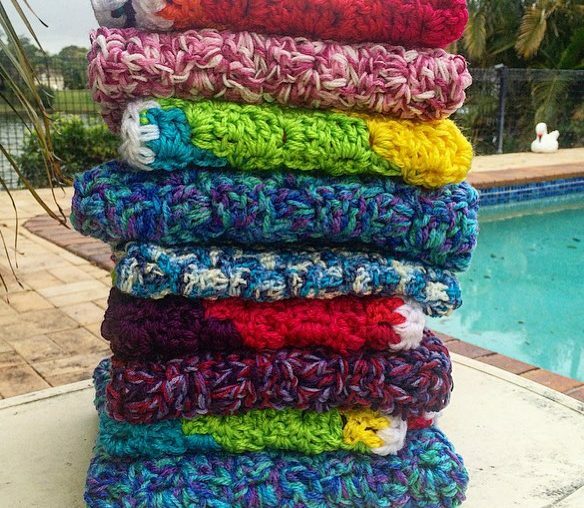 Sharna, on Instagram as Sweet_Sharna, makes beautiful, colorful crochet items, which you can explore in depth on her website. 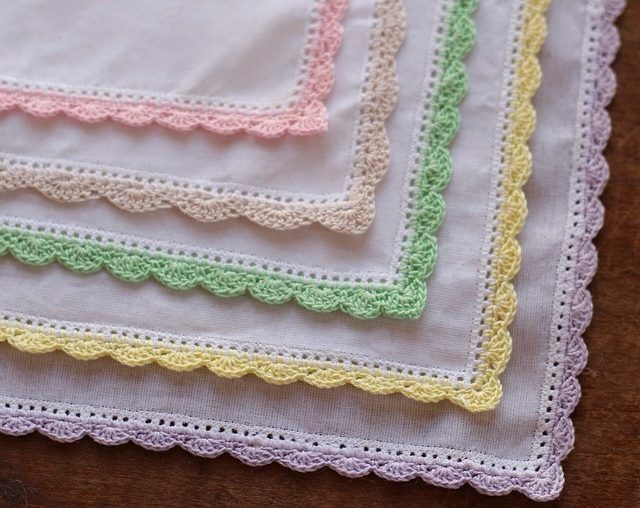 Christelle, known as StelCrochet on Instagram, began crocheting in 2011, which is the same year that she started her blog Haak-en-stekie.